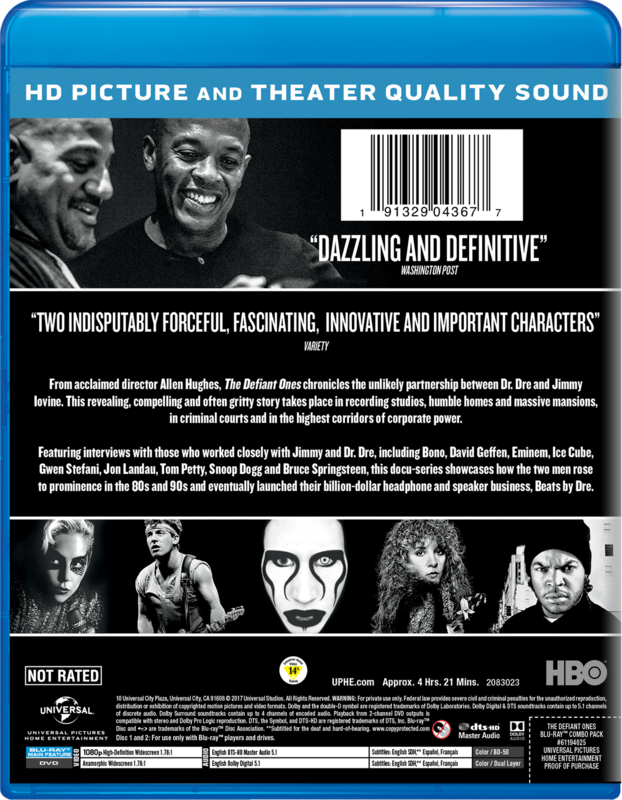 The Defiant Ones, directed by Allen Hughes, chronicles the unlikely partnership between Dr. Dre and Jimmy Iovine. This revealing, compelling and often gritty story takes place in recording studios, humble homes and massive mansions, in criminal courts and in the highest corridors of corporate power. 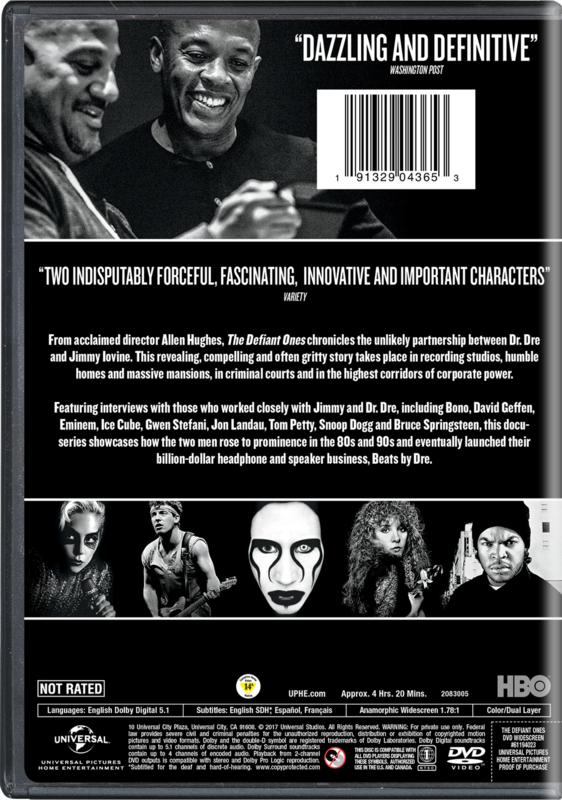 Featuring interviews with those who worked closely with Jimmy and Dr. Dre, including Bono, David Geffen, Eminem, Ice Cube, Gwen Stefani, Jon Landau, Tom Petty, Snoop Dogg and Bruce Springsteen. The docu-series showcases how the two men rose to prominence in the 80s and 90s and eventually launched their billion-dollar headphone and speaker business, Beats by Dre.